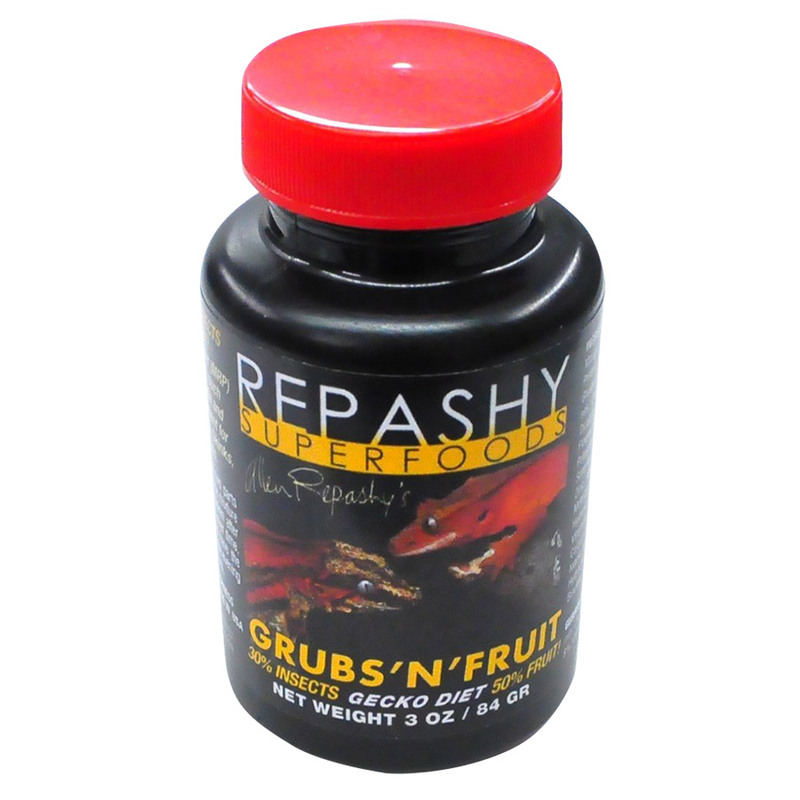 Repashy Superfoods Grubs N Fruit 85g | Livefood UK Ltd.
Grubs N Fruit is an ultra-premium complete diet that is designed to be an alternative to the Repashy regular Crested Gecko MRP formula. It features 50% real dried fruit, and 30% insect protein powder. It can be used in rotation with, or be mixed with, the Crested Gecko MRP to provide a more varied diet. This new formula has shown to be particularly attractive to the more carnivorous gecko species such as Giant Geckos (R. leachianus) and Gargoyle Geckos (R. auriculatus). It also gets a great feeding response from juveniles of other gecko species that are more insectivorous as young, such as Crested Geckos (C. ciliatus). The chosen insects are Calci-Worms, the larvae of the Black Soldier Fly which is naturally very high in Calcium (around 2%).